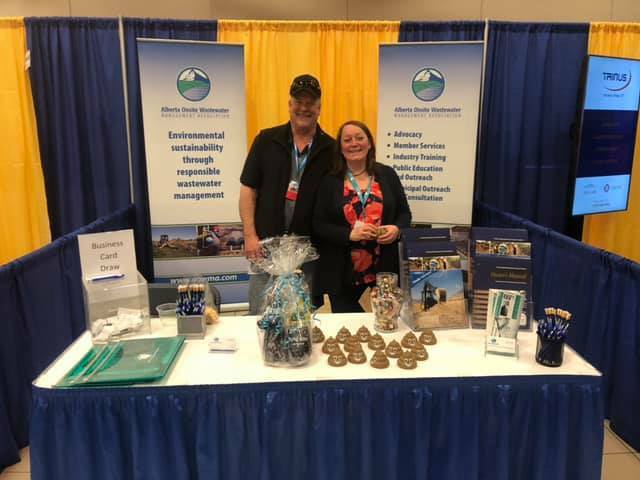 The AOWMA hosted a booth at the annual Rural Municipalities Trade Show in Edmonton on March 18. The trade show is attended by representatives from all municipal districts and counties in Alberta. 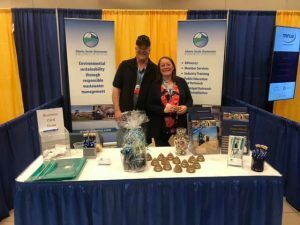 The association promotes both the importance of using trained, certified contractors in the onsite wastewater industry, as well as its Septic Sense homeowner education program at these events. Clayton Foster, Ed Lemke, Sherri Hallett and Lesley Desjardins took turns manning the booth and answering questions.